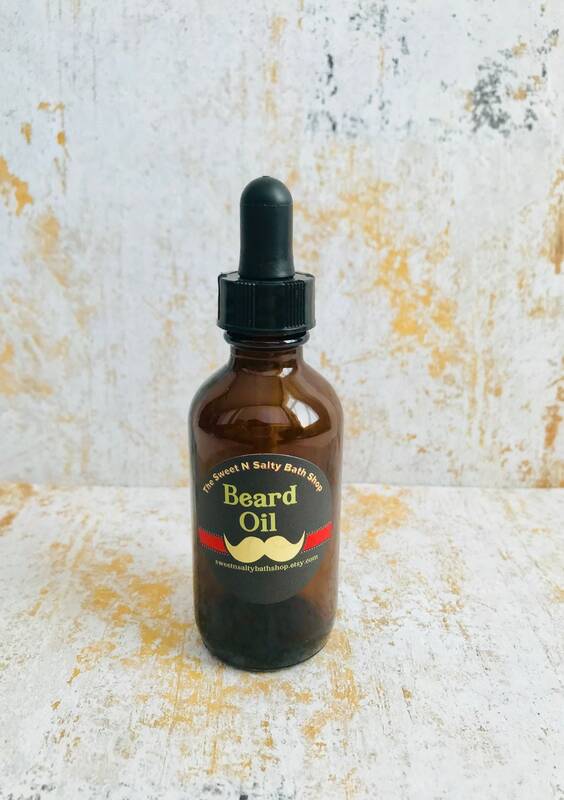 This moisturizing and conditioning oil is a must have for men with beards! This beard treatment consists of only the finest oils that blend together for superior softness of bristles as well as the skin underneath! Sweet Patchouli-The best Patchouli fragrance inhanced with a hint of chocolate. Rustic Woods & Rum-This warm, smokey and deep scent is sure to be loved by both men and women. Rich notes of Hay, Sandalwood and Cinnamon are brightened with White Citrus and Ginger; and layered by Rum, Birch and Tobacco. Zanzibar Spice-This fragrance is a masculine of Mandarin Leaf, Agave Nectar and African Lotis then you’ll notice they’re perfectly paired with spices like cardamom, Nutmeg and Black Peppercorn. The dry base notes of Safari Sandalwood, Patchouli and Tonka Bean hold it all together for the perfect combination of “sugar and spice and everything nice”. Barber Shoppe-A masculine scent with clean, sharp finish. It's the perfect combination of barbershop aromas. This fragrance combines top notes of lemon, bergamot and cool mint, with a heart of lavender, green accord and sandalwood. A strong base of cedarwood, amber and musk round out this strong yet sweet aftershave type scent. of fresh cotton followed by middle notes of white blossoms with base notes of cashmere, amber, musk, and patchouli. The Perfect Man: Fresh notes Japanese grapefruit, aquatic marine, bergamot and lemon; followed by mid notes of base notes of patchouli, cedar, veliger, labandum, and frankincense.